In the second half of 2014 Brother has launched 4 models of inkjet MFPs for home and small offices. It’s a new market for Brother, aimed at users who don’t need large volumes of printing, but advanced functionality. Further, we’ll tell about the models—DCP-J4120DW and MFC-J4620DW—designed right for the home use. All of the new machines feature Brother’s Cloud connection (for printing from Google and Dropbox), mobile printing capabilities (for direct printing from mobiles, tablets and smartphones), A3 paper support, though they all are compact and style. 4 cartridges, each under $32 and of 1200 pages yield. sending via email or to an SD card. This entry was posted on Tuesday, December 2nd, 2014 at 9:11 pm	and is filed under Brother, inkjet, printer. 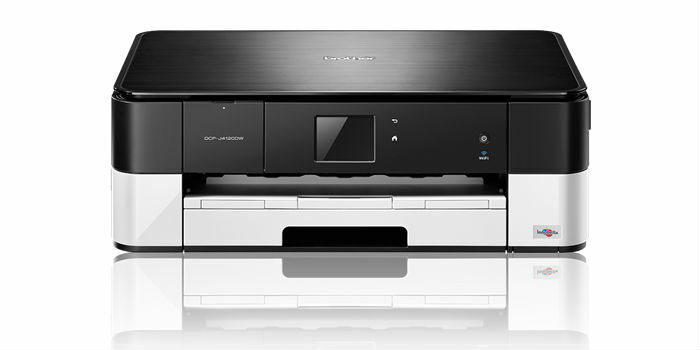 "Epson SureLab SL-D700: Compact, But Effective Photo Lab"
"Must-have: Samsung New Design Concept Printers"